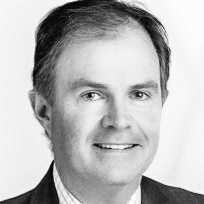 Glenn Kerkhof is Executive Chairman and acting CEO of George Clinical. Glenn has over 22 years’ experience in the contract research or drug development industry and joined George Clinical from Chiltern where he was Chief Executive Officer. Prior to Chiltern, Glenn served as Vice President, Clinical Services for Charles River Laboratories and as Vice President, Clinical Europe for Inveresk Research. 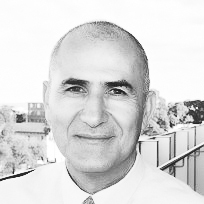 In addition, he is also non-executive director of Cell Care Australia Pty. Ltd. and Immunoglobal Pty. Ltd. He holds a Bachelor of Commerce from Deakin University (Australia) and a Masters of Business Administration from the University of Edinburgh (UK). Stephen is a founder of the George Institute for Global Health and an architect of its global expansion. He is Principal Director of the George Institute and also holds professorial appointments in medicine at UNSW Sydney and the University of Oxford (UK), where he holds the position Oxford Martin Senior Fellow. He is an international authority on the causes, prevention and treatment of cardiovascular diseases and has a special interest is the clinical management of chronic and complex conditions in resource-poor settings, particularly in the Asia-Pacific region. For his work in the field of cardiovascular disease, he has received numerous awards, fellowships and honours from governments, universities and learned societies worldwide. Stephen founded George Clinical in 2008 as an initiative designed to provide high-quality clinical research services and scientific leadership to the pharmaceutical and medical technology industries. George Clinical is now part of George Health Enterprises, which was established by Stephen in 2013 as the Institute’s commercial arm, comprising three aligned businesses focussed on healthcare in emerging markets. Stephen was named EY Social Entrepreneur of the Year in 2013. Tim is the current COO and CFO of The George Institute for Global Health. 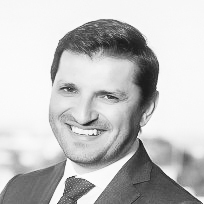 He has extensive experience in the construction, property and services industries, including as former COO of top 50 ASX-listed Mirvac Group, CEO of TJS Services, Commercial Manager for the Sydney Organizing Committee for the Olympic Games and Senior Manager at PricewaterhouseCoopers. 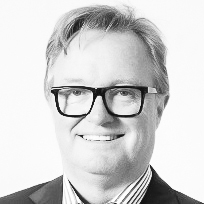 Tim is currently a Director and former President of Financial Executives International in Australia, former Director of Thomas & Coffey and Vice-Chair of the Australian Theatre for Young People. 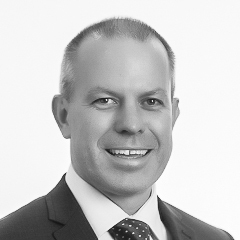 He holds a Bachelor of Economics from the University of Sydney and is a Fellow of the Australian Institute of Company Directors, the Institute of Chartered Accountants and the Australian Property Institute. Staph is the President and Chief Executive Officer of George Health Enterprises. Previously, Staph was President and Chief Operating Officer of the Clinton Health Access Initiative (CHAI). Staph has close to 30 years of senior executive and board-level experience, leading, growing, and transforming global pharmaceutical, biotechnology and not-for profit organisations, from start-ups to large, complex multinationals, in both developed and emerging markets. Prior to CHAI, Staph held several senior executive and board positions with leading pharmaceutical and biotechnology companies; including 11 years with SmithKline Beecham, living and managing businesses in French West Africa, Latin America, and Europe. Staph has substantial experience and a track record in fundraising, negotiating and closing a wide range of public and private sector agreements and partnerships, including cross border mergers and acquisitions. He is also the co-founder of LeapFrog Investments, the world’s first and largest investor in companies that insure underserved people in Africa and Asia. Staph serves on a number of boards as an advisor, a Non-Executive Director and Chairman. He holds a First Class Honours Degree from City of London Polytechnic and an MSc (With Distinction) from London Business School.